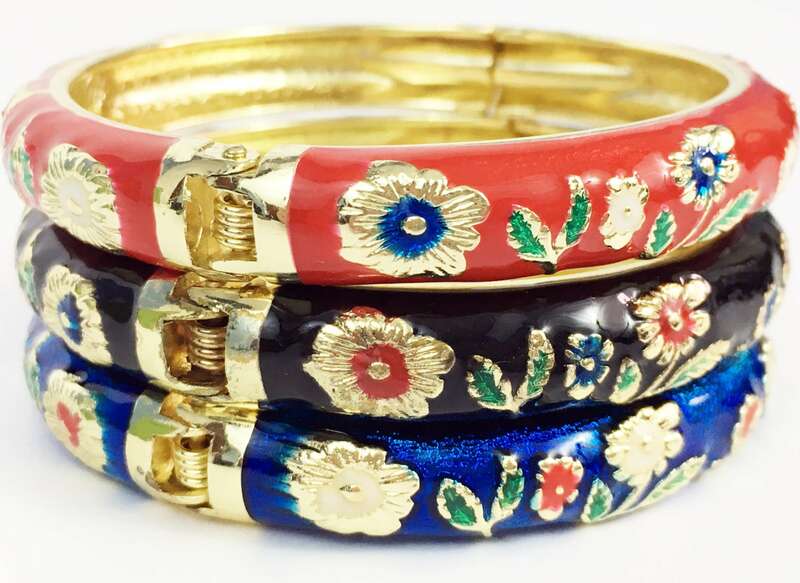 Make a statement with these gorgeous retro floral cloisonné bracelet set! 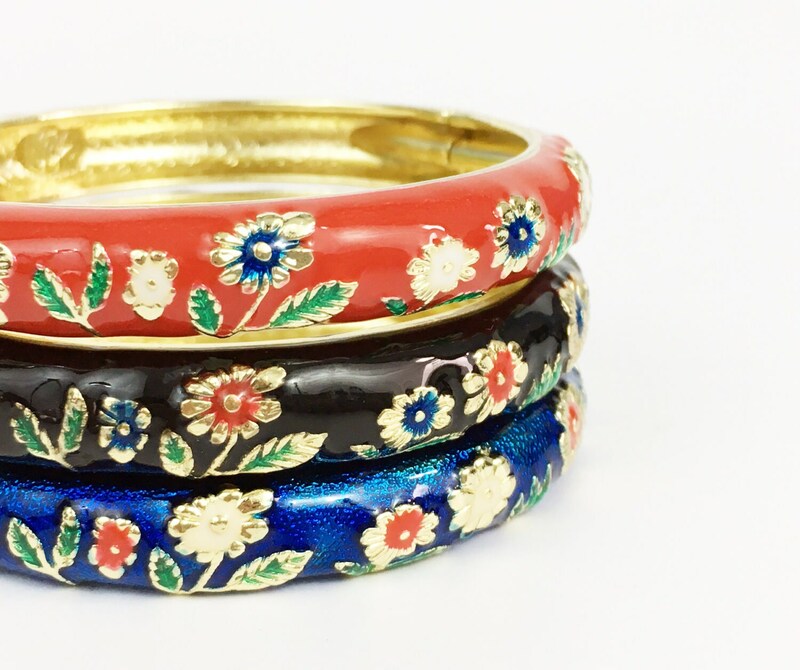 Description: Vintage set of three stackable enamel cloisonne bangle bracelets. 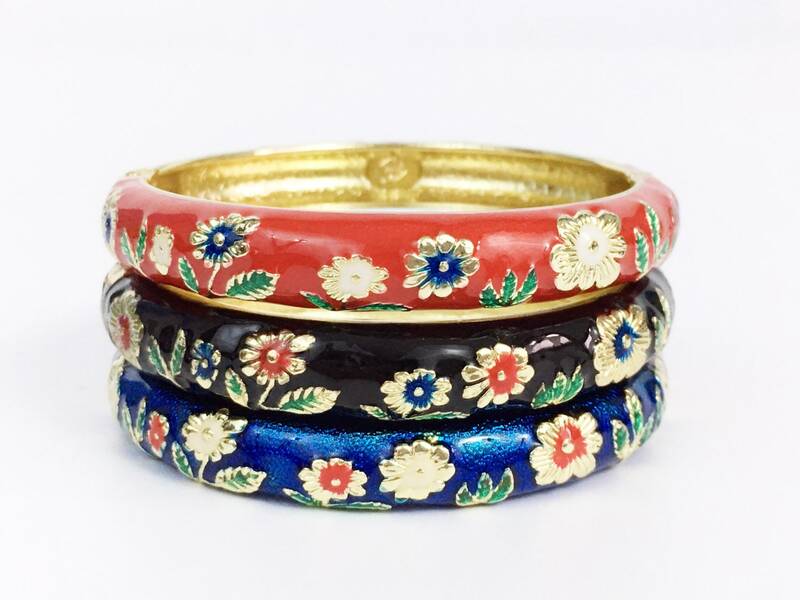 Each is a floral design but in different colors, red, blue and black. 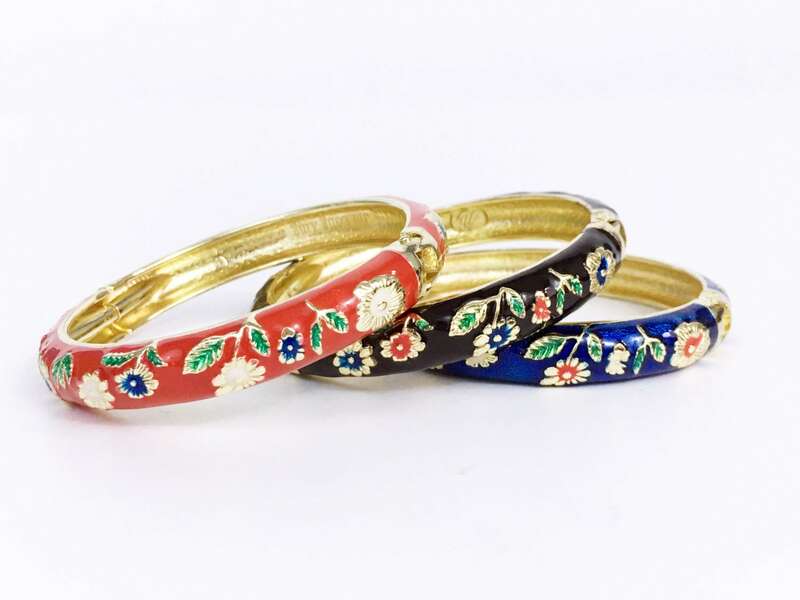 The great thing about these bracelets is the hinge - makes for easy on and off! 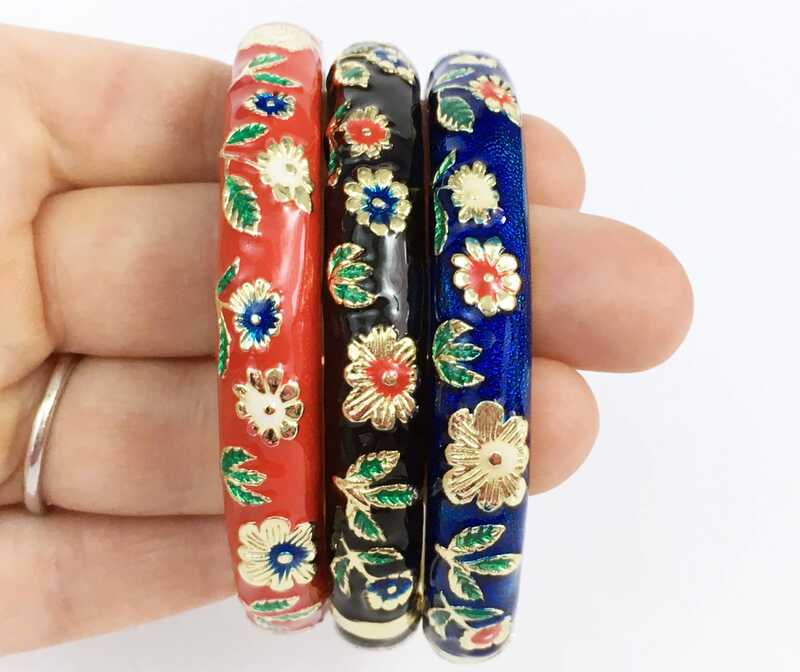 Size: They're 2 3/4" across and 3/8" wide and well made and heavy for their size. Condition: Great vintage condition. Little to no wear.